The landscape for credit card approvals, and more importantly, getting cards’ bonuses has changed during the five years I’ve been in the game. I combined the new rules to write “Best Order for Card Applications to Maximize Bonuses Over Your Lifetime” two months ago, and everything in it is still true. But I want to write a follow up post about a further change to the recommended best practices for applying for credit cards. The Change: Instead of applying for cards from different banks on the same day, wait a day or two between applications to let credit inquiries from the last bank combine. If you apply for multiple cards from one bank on the same day, that bank often combines those applications into one credit inquiry. But it takes a day or two for the multiple credit pulls for the multiple cards to be combined into one inquiry. The fewer inquiries you have on your credit report, the better your chances are for approval with the next bank. The reasoning to make all your applications on the same day–that maybe each bank wouldn’t see the other bank’s applications yet–is dead because pulls show up instantly on your credit report. When you apply for a credit card, the card issuer will check your credit report to see if you are good enough credit risk to be approved. When a bank checks a credit report after a credit card application, it is considered a “hard pull” or “hard inquiry.” (A “soft inquiry” results from a check of the credit report not related to a lending decision, like when you check your own credit report.) The hard pull shows up instantly on your credit report. Hard pulls lower your credit score. In my experience, after a hard pull, my score drops 2-5 points for a few months, at which point the effect is gone. And after two years, the hard pull itself is completely gone from the credit report. Hard pulls are bad because they temporarily lower your credit score and because some banks count them to see if you’re applying for a lot of credit cards, which they assume you are doing just for the bonuses, which would make you an unprofitable customer that they’ll deny. Of course, hard pulls are worth it if a credit card is offering a juicy deal, but all things equal, we’d like to minimize the number of pulls on our credit report. So if we could get multiple cards but only one pull, that would be ideal. This is indeed possible because some credit card issuers will only do one pull for all the cards you apply for on the same day. Usually, though, each application shows up as a hard pull for a day or two before they are combined into one pull. Unfortunately the rules for combining inquiries vary by bank, sometimes by whether you are applying for personal or business cards, and sometimes change so that your results don’t match previously reported results. The best way to know whether your multiple applications from one bank will be combined into one inquiry is to read this Doctor of Credit post and its comments for updates. There’s a bit of confusion about what actually happens when inquiries combine, so let’s clear things up. It’s not usually the banks that combine credit inquiries, but rather the credit reporting agencies themselves. Many CRA computers appear programmed to assume that two or more inquiries on the same day from the same lender are a mistake, or simply a duplicate of the same inquiry. Therefore, the repeated ones are deleted (or “combined”), leaving just one inquiry on your credit report. So credit pulls show up instantly on your report (and to other banks), credit pulls can be combined, but the combining isn’t instant. Add that up and you get a new strategy for applying for multiple cards from multiple banks at the same time. Instead of applying for them all in the same day like I used to recommend, you should apply for all the cards from one bank on one day, wait until your credit pulls from that bank are combined, and then apply for all cards from the next bank on one day. While previously you did all of your applications in the same day, not maybe the process will take three days or a week. I think the change to strategy laid out in this post is very important, but let’s not forget what it doesn’t change. 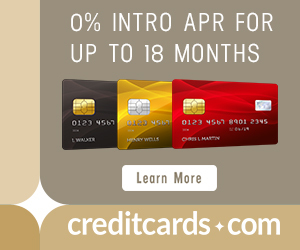 You still shouldn’t get credit cards at all if you won’t pay them in full each month to avoid interest or if they will cause you to spend more than you otherwise would. Approval rules and rules for whether you can get a bonus on a card you have had before haven’t changed. This doesn’t affect which cards you should get or the order you should get them, just the timing of your applications. So if you understand all that, it should be a snap to understand that the new best practice for applying for multiple cards from multiple banks is to wait until the credit inquiries from each bank combine before moving on to the next bank. Check out the Devil’s Advocate post from which I got this idea for screen shots showing how to see whether inquiries have combined. And check out the hard work done by Doctor of Credit to keep track of under what circumstances credit pulls combine. 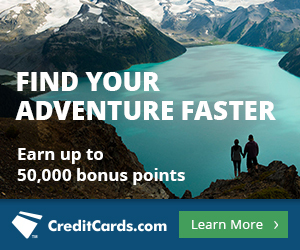 Citi ThankYou Premier vs. Chase Sapphire Preferred: Better Card? Credits cards should always be PAID in Full 3 days before it posts that’s good 4 a 20 point increase in ur fico score . Don’t play games with this CALL they will be happy to tell U . Got 2 SPG cards in 10 mins will lay LOW till 7/17 BUT loads of points .